A note from Sarah Page: Scott originally wrote this post about the Schwab Bank High Yield Investor Checking Account debit card in March of 2014. I am re-posting it now as a reminder to all of you who haven’t jumped on this train yet–get one now! I have saved so much in ATM fees over the years, especially the last few weeks traveling around Europe when I’ve needed more cash for small transactions. I’ve also never had trouble withdrawing money from any ATM, no matter what country I’m visiting! Notes added on the original post by me are scattered throughout in bold font. During my recent trip to New York, Macau, Singapore, Cambodia, England, Slovenia, and Germany, I had a wallet full of six currencies. For my several stops at ATMs, I paid zero ATM fees. I didn’t pay a fee to the bank that owned the ATM. I didn’t pay a fee to my bank for using some other bank’s ATM. And I didn’t pay a transaction fee for taking out foreign currency. With all that fee avoiding, I saved at least $50. If I save $50 per trip for the foreseeable future, that will add up to quite a lot more money in my pocket. The secret to the savings was opening a Schwab Bank High Yield Investor Checking Account. The account is free to open, has no account minimum, and no monthly service fees. Once you have the account, Schwab will never charge you an ATM fee no matter what ATM you use to access your money, and it will cover any fee that the ATM owner charges you. The opening of the account may require a hard pull on your credit report. I don’t see one on my credit report, but other people do report seeing a credit pull. How do you open one? What is my experience with the account and ATM card? How Do You Open a Schwab Checking Account? To open a Schwab Bank High Yield Investor Checking Account, start here. As you open the account, you are actually opening two linked accounts: a brokerage account and a checking account. Two random micro-deposits are made into your funding account to test whether you are the real owner of the account. Once you see those deposits, you input their amounts inside your Schwab account. Once an external bank account is linked to your Schwab account, you can send some money to the Schwab account. Remember how I noted that opening the Schwab account really opens two linked accounts, a brokerage account and a checking account? The incoming money will show up in the brokerage account. It’s a simple, instant, online transfer to send it on to the checking account. About five days after the checking account is funded, you will get an ATM card in the mail. Last year, I read a post on Frequent Flyer University about the Schwab Bank High Yield Investor Checking Account and decided to apply. I transferred $2,000 to the checking account in anticipation of ATM needs during three weeks abroad. My first international stop was Macau. I tried to take out a few hundred Hong Kong Dollars, and I got an error message. I called the number on the back of the card, and it turns out I had never set the card’s PIN. On the same call, I inquired about my daily ATM withdrawal limit and was told that it was $1,000. Later that night, I tried to withdraw 7,000 HKD (~$901) and the transaction was rejected. I didn’t bother to attempt a lower withdrawal amount. My next stop was Singapore and I successfully used the card to withdraw 200 SGD (~$158) from an ATM. I can only assume that the transaction in Macau was rejected because of its size, which is confusing because I confirmed a daily withdrawal limit of $1,000 before and after the failed withdrawal in Macau. Singapore turned out to be more expensive than I anticipated, so I later took out 100 SGD (~$79) and 60 SGD (~$47) in later ATM trips. These small ATM transactions being fee-free is a huge draw of the card for me. With my previous ATM card, I would have paid a $5 fee for using an ATM abroad plus whatever fee the ATM’s owner levied. That would have worked out to about 20% of the value of the cash I was taking out on a $50 withdrawal! But with the Schwab checking account, if I under-budget, I can take out small amounts of cash without having to pay punitive fees. Later in London, I took out 100 GBP (~$167) and in Slovenia, I took out 200 EUR (~$278). When I looked into my account at the transactions today, I can confirm that all of them priced at the exchange rate between the local currency and dollars without any ATM fees or any percentage fee for the currency conversion. If each ATM visit would have cost me $10 between my bank’s and the ATM’s bank’s fees, I saved $50 on my five ATM visits. I saved even more compared to checking accounts that charge a percentage fee for foreign currency withdrawals. Over the course of this year, I expect the Schwab ATM card to save me over $100. If I travel as much as I’d like in the coming years, I’m sure I’ll reach over $1,000 in savings before the world becomes cash-less, our credit card info is embedded in our retinas, and this blog is downloaded directly into your brain. But what about a hard credit pull? When you open a credit card, you get a hard credit pull on your credit report that tends to slightly lower your credit score briefly. When you open a checking account, some banks initiate a hard pull and others do not. I did not receive a credit pull from opening the Schwab Bank High Yield Investor Checking Account that I can see on any of my credit reports. But folks in the comments of this thread (Sarah Page: and more currently, in this Flyertalk thread) reported a credit pull on their Equifax reports. For me, this was an account worth opening even if there was a credit pull. Think about what a credit pull is worth to you and what you’ll save from having free ATM withdrawals worldwide, and decide whether the account is worth opening even if you get a credit pull. I finally got serious about saving on ATM fees while abroad by opening a Schwab Bank High Yield Investor Checking Account. After taking my first trip abroad with the ATM card, I see that none of my five ATM visits included any fees. This fee-free access to foreign cash makes traveling a lot easier and cheaper for me. Unfortunately opening the Schwab account might trigger a hard pull of your credit report. For this reason, opening the account isn’t for everyone. Only people who use foreign ATMs frequently will get enough value to put up with the inconvenience of opening a new account and possibly getting hit with a credit pull. 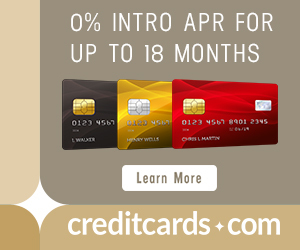 Or you could just open an account with Fidelity and keep a minimum balance of $1000 in one of their debit cards. I don’t believe there’s any reason for a credit check (after all, it’s just a savings acccount). Been using this for years and never a charge either domestic or abroad. Since I’m in Thailand right now, all the banks charge 150 baht, so I save $5 with every transaction. When I was in Thailand, I found a bank that didn’t charge for ATM withdrawals. The ATM signs were purple… but I can’t remember the name of the bank. Give one of those a try & see if they still don’t charge. oi! Definitely could’ve used this before I left! I keep taking out wads of cash to try and avoid ~$10 per transaction ($5 for ATM fee/$5 for Chase fee). I wonder if I can have that ATM card mailed to me somewhere… possibly to my friend in Australia who I will meet up with soon. Spending several months overseas and signed up for this account. Haven’t had to withdraw cash yet but can’t beat the no ATM fees! Glad it worked for you. Schwab is amazing. Even if there is a credit check, this account literally has no fees or minimums, so in my opinion it is worth it over the long run because it is the only bank I use now. Also FYI, for people that are signing up, they won’t send you the debit card or checks until you fund your account with $1 or more. 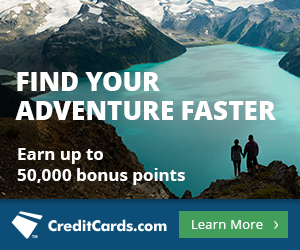 Capitalone360.com checking also has 0 international atm fees and no fee for currency conversion. I opened an account and used it in hong kong, macau, and thailand in november and can confirm the no fees and good exchange rate. It also has no minimum. I had a similar problem with high dollar withdrawals in macau even though the amount was below the daily minimum? Perhaps has something to do with the country, or that it was a casino atm? I’m interesting in this, since I already have an account. However this information seems to indicate that there are fees charged by MasterCard for foreign currency conversion. Does sound like it. I can say though that wasn’t the case recently as I was in Bali, Thailand., Singapore and Macao. And had to fees charged. There are fees in the sense that you I don’t think MasterCard converts dollars to euros at the same rate as euros to dollars, but the fee is in the hundredths of a percent. The lowest cost conversion possible. The currency conversion rate difference for each direction is usually called the buying vs selling rate or the spread. I believe it is over 1% for banks to make money, but credit card and ATM transactions have the minimum compared to bills/notes exchange. This is built into the single transaction that shows on the account statement. The fee on the other hand shows up as a separate transaction on my statement. My credit union bank account shows 1% of USD amount and Chase bank account shows 2% of USD amount of transaction. Despite this, if the foreign ATM terminal has a matching interbank network logo to your card (Cirrus, Star, Interlink, etc) then this additional fee transaction does NOT show up. If no matching logo, then Visa/MC network is used and the separate fee transaction shows. What I’d like to determine is that Schwab, Fidelity, Capital360 accounts do NOT charge this fee even when Visa/MC network is used (no matching logo) definitively. The CapitalOne360 helpcenter seems to indicate that fee *may* be charged, which is hardly definitive. I have been using the Schwab debit card for years and am very satisfied. You also get this card if you open a brokerage acct with them. When I was in Colombia, it was the *only* card that would work to get money from at ATM there… and I had 4 ATM cards from various banks. Wells, BofA, Etrade… none of them worked. I know that Schwab refunds the fee from the ATM, but I try to only use ATMs that don’t charge fees because I don’t want Schwab to discontinue this feature. thanks for posting. it is great to save atm fees aboard and during remote travel. however, i felt you missed another equally important point: what is schwab’s foreigin exchange rate? is it a reasonable rate? when i went to canada, i use my TD Bank checking account’s ATM card to withdraw canadian dollars from Toronto Dominion Bank’s ATM machine to pay zero atm fee. i had schwab accounts for almost 10 years but never used it. (Opened it for $200 bonus around 2006 but stay dorment thereafter.) so, you reminded me that i should requested a schwab atm card and be ready anytime. thanks for great posting. The exact amounts I withdrew and the corresponding deductions from my account are in this post. Looks like a fair exchange rate to me. My understanding is that Schwab doesn’t set it, but Visa does. It is being on top of logistical details like this that makes traveling an art………….great post! Just want to give you a BIG thank you for something else—your DoNotTrackMe UAL trick worked like a charm for me this week. The funniest part was that the reps on the phone could never figure out how I had it on hold and they would always read me something like the riot act to get me to ticket. But, like I said, worked perfectly! As part of the new account opening process, Schwab does require an adequate credit rating as reported through various credit reporting agencies. Unfortunately, we do not provide our acceptance criteria publicly. The only way to find out if you would qualify for an account is to apply. 12:05:25 PM : Samantha Pezzute: Yes, there is a hard credit check when opening a Schwab Bank checking account. I’m another happy customer of Schwab checking and have been for 6 or 7 years. Never once have I had a problem. Regarding your daily withdrawal limit: many machines set a daily limit so even though your Schwab account may offer up to $1K withdrawals, the ATM itself may not. Sometimes they tell you the limit (I see $500-600 fairly often) though other times you’re left guessing. You can work around this by making a second withdrawal at a different ATM, something simple to do in Macau but potentially a downside in remote areas that might not have a second machine nearby. I’m curious – I’m assuming you can only open this if you live in the US. I live in Canada – I imagine I would not be able to open this? Does the ATM card have an EMV chip? Will it work in most ATMs? My credit union refunds all worldwide ATM charges. Also, my Bank Of America ATM card charges no fees when used with affiliate bank ATMs in a lot of countries. I just checked with fidelity. If you have an account with them and they give you a debit card that is attached to that account it is also free atms worldwide and they reimburse any fees the atm charges. I also asked about the foreign transaction fees and the debit card is visa and visa charges a 1% fee. That fee is way better than the 3% of other cards. That will be a big savings traveling over seas. I hope this helps someone. I just spoke with Schwab. The $1000 withdrawl limit is per day. The withdrawl limit per transaction varies depending on the ATM you use. Max per transaction is $200-$500. Be very careful signing up if you are American but traveling while you register. I only spend about a week a year in the states, they Charles Schwab let me register and add $1000 USD to the account. They sent me a card and everything but when I went to make a withdraw(friend visiting brought the debit card) they wouldn’t allow it, I called the bank and they said the account was locked because I registered from a foreign IP. They would not allow me to send any info to get it unlocked and said I could only do so in a person at a local branch with 2 forms of ID and that they would keep my money until then. There was no way around it and if they were going to lock the account they should of done it before they let me make a deposit. Six months later I was finally able to get the funds back. Ouch. Yes, I had a similar experience as I applied with a foreign IP although I hadn’t deposited any large sum into my account that was locked. But I also was required to visit a branch and give two forms of ID…luckily I was headed to the US anyways about a month later. TD Waterhouse also offers no fees. I always chuckle when seeing Americans lined up at a currency exchange in Asian airports. There they are, after 15 hours of hellish travel, unable to do math on the spot so they are getting fleeced. Two solutions to this: like Schwab and Fidelity, all the major brokers (TD Ameritrade in my case) offer cash management accounts with the no-fee ATM feature. Check wherever you have your $$$ invested and see. If you do have to use a bank card, it pays to call when you get home and register your complaint about these fees. Wells Fargo always credits me the entire amount when I call them to gripe about it. Same goes for Amex if they are charging overseas transaction fees; they know what the competition is doing so they rebate the fees with a simple phone call. I use a Fidelity cash management account debit card. It also refunds ATM Fees with no additional charge and I have used it successfully all over the world. I also use it in Vegas to save on the ridiculous $7.99 ATM fees out there. If you use the Fidelity debit card for purchases while traveling internationally it does charge a 1% foreign transaction fee, but not on ATM withdrawals. This is fine since I use it for withdrawing cash only. If I apply for the Schwab card, I could get a hard pull, but it won’t count against Chase 5/24, right? Or will it? No it shouldn’t, only credit cards should. I’ve been into points/miles for years now and this is perhaps the greatest tip yet. I had taken tons of cash with me to Japan and Cambodia last year since Japan is not credit card friendly. This year in China I will take a Schwab card instead! Just got notice that my (checking) account with them was closed since I hadn’t carried a balance in a while. Don’t know if this is a new trend or what, but if so it seems we’ll have to keep at least something in the account to keep it open. Most accounts will close with no activity after 12-18 months even if you do carry a balance. Thanks for sharing! I’ve updated the post with your experience. Do you remember for how long your balance was $0? Unfortunately, Charles Schwab seems to delete out activity on closed accounts and you have to call. Guesstimating I’d say the last account activity was in October 2016. So about 8 months. And for some reason, they never called/emailed/mail to warn me account closure was imminent. The Fidelity Cash Management Account comes with no transaction fee and gives a rate close to the spot rate traded on the same day. But one catch you need to inform Fidelity the overseas location you are planning to travel otherwise they will block your card and you will not be able to use the ATM card. Love Charles Schwab! Just spent 6 months travelling around asia, never paid for a dime!! And me and my girlfriend never had a hard credit check when we opened.. She hardly had credit, cant believe they gave her an account! !